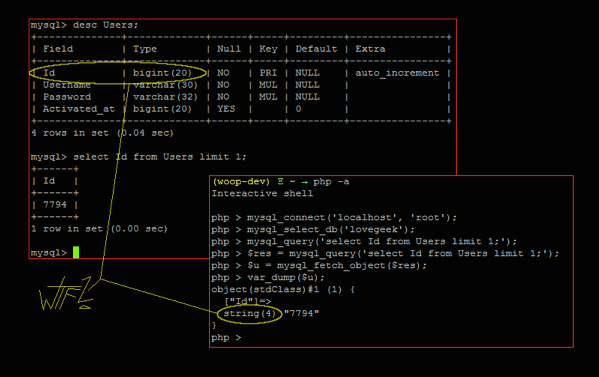 We used MySQL with PHP… In the past months we try to migrate MySQL tables to MongoDB. And yes it was not a simple method (but we did it). Now I’ll tell you a simple source of bugs because i have too much fun with this. We have a users table with some fields for example member_type (int). The types already migrated to MongoDB. We fetch the user and we make a query with member_type value but it doesn’t work for us. Why?